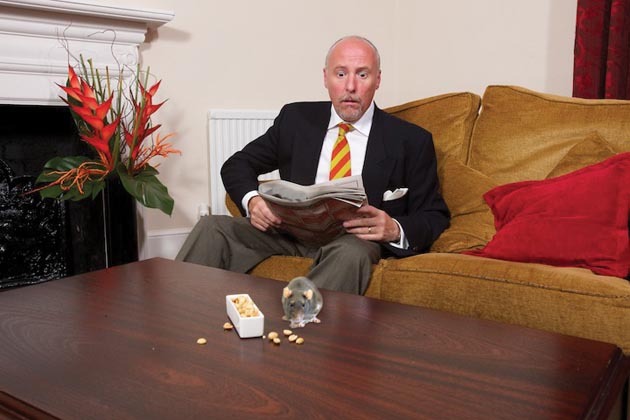 Witness the chaos of Torquay’s most infamous hotel! Join Basil, Sybil, Polly, Manuel and a host of long-suffering and much abused guests in one of the best-loved British comedies ever written! Communication problems: Mrs Richards, intermittently deaf, is a difficult guest who finds fault with everything. Basil has received a hot racing tip but Sybil has banned betting so he has to surreptitiously place the bet. When the horse wins, Basil must hide the winnings from Sybil and he gets the absent-minded, geriatric, resident Major to look after them for him. Meanwhile, Mrs Richards insists money has disappeared from her room. In the ensuing showdown Basil has to give his winnings to Mrs Richards in the cause of goodwill. The production was so successful that we then put on 3 different episodes in February 2011 – Return to Fawlty Towers and returned again in March 2014 with 3 further episodes: Fawlty Towers revisited. 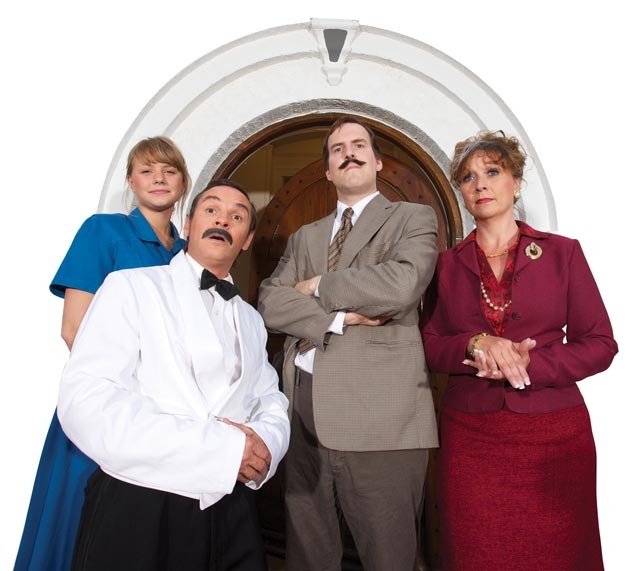 Our final visit to Torquay was made in Sept 2015 when we performed the remaining 3 episodes in Fawlty Towers: the Final check in. Tuesday 14th September 2010. 7.30pm. Wednesday 15th September 2010. 7.30pm. Thursday 16th September 2010. 7.30pm. Friday 17th September 2010. 7.30pm. Saturday 18th September 2010. 7.30pm.